Our teams' skill-set covers a massive variety of vehicles, be it a truck, 4x4, V8 supercar or even a Toyota Corolla. No job is too big for us, we've seen it all and know how to handle anything that rolls in to the shop. No matter what your vehicle is or the issue with its transmission, get in touch today and have a chat to one of our experts for a no-obligation free test drive and quote. We understand that customers want their vehicle fixed properly the first time, and for the best price. 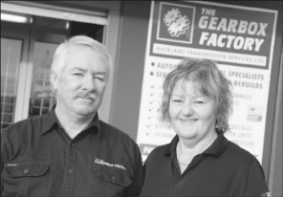 At The Gearbox Factory we have specialist equipment to diagnose your vehicles transmission or gearbox. We will then communicate with you about the issues discovered and our advice for fixing the issue, at the lowest possible cost to you. MAKE THE RIGHT DECISION ABOUT YOUR TRANSMISSION, THE FIRST TIME. Get in touch with our team or bring your vehicle straight to us. We'll take it from there. 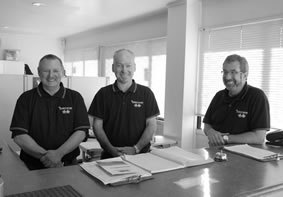 We are a family owned business with over 100 years of combined experience in the team. From the first time you get in touch, we’ll talk in your language so you’ll understand the issues and what options you have for repair or replacement allowing you to decide what’s best for your situation. We will carry out any transmission/gearbox related work on your vehicle (in accordance with your insurance company’s insurance requirements) and will provide full reports to your insurance company, should they be required. First we just need you to call us to arrange an appointment time to bring your vehicle in, and make sure you bring your service record book in with you. We will do the rest. © Copyright 2015 The Gearbox Factory. All rights reserved.